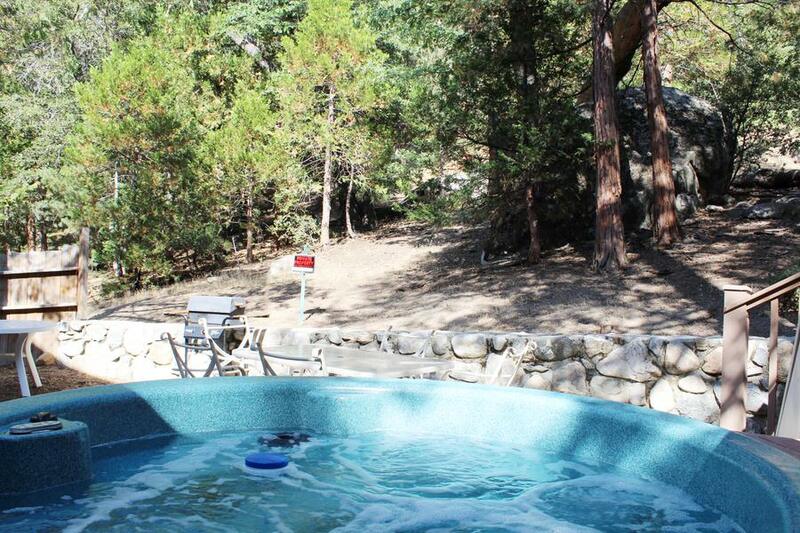 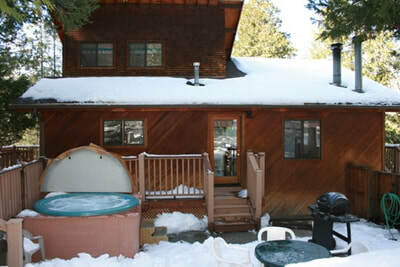 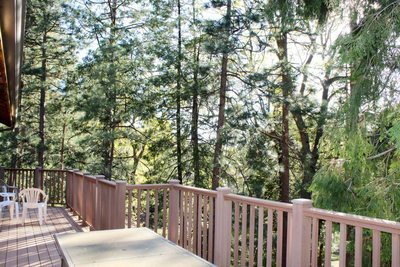 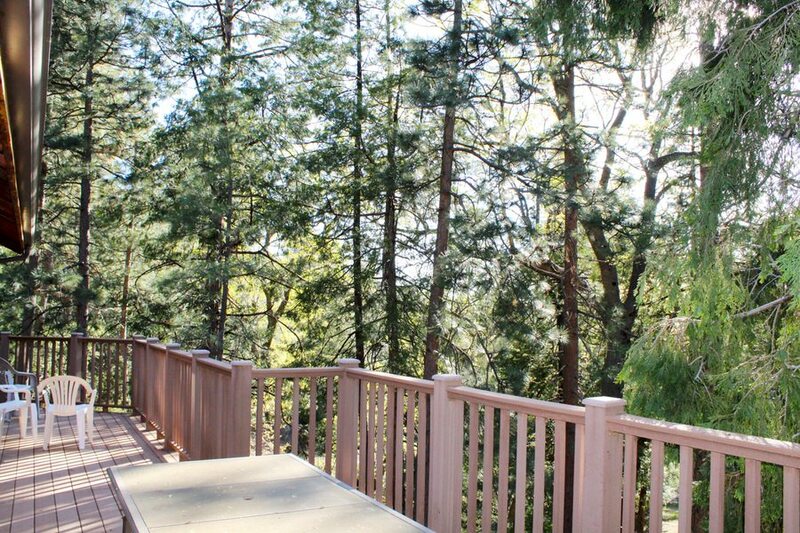 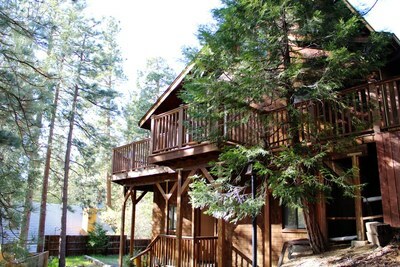 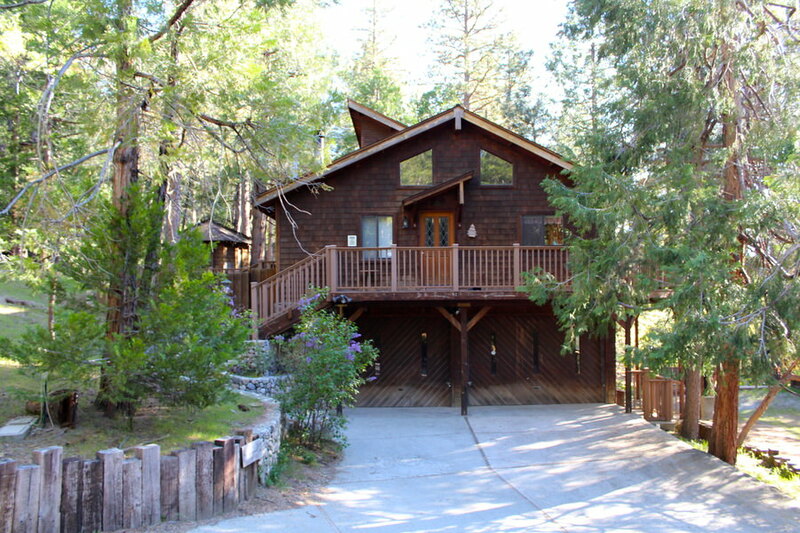 Seven Arrows - A Vacation Rental Home in the Mountains of Idyllwild, Calif.
7 Arrows Cabin results will appear first in list - if available. ​This upscale modern cabin is very clean and nicely decorated. 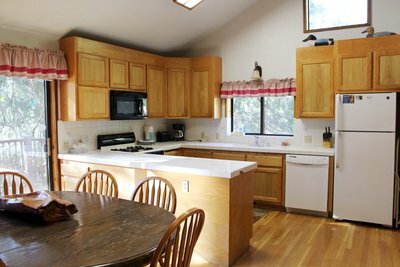 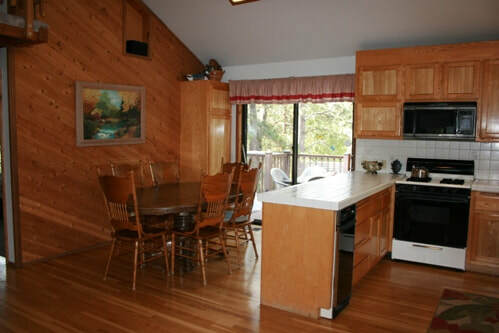 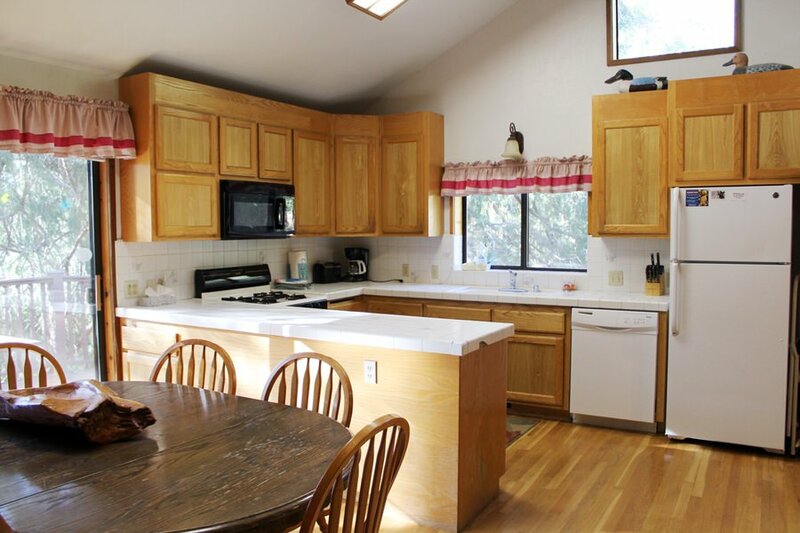 A spacious kitchen is very well equipped and there is a nice dining table indoors, and a lovely wrap around deck for your outdoor dining pleasure. The outdoor Hot Tub is great fun, as is the private patio. A back patio has another table and a BBQ for your enjoyment. 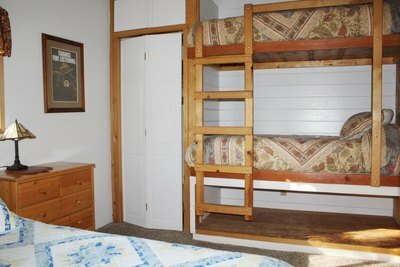 There are two bedrooms with queen beds on opposite ends of the cabin to maximize your privacy, and a third bedroom on the downstair level with a pair of bunk beds. 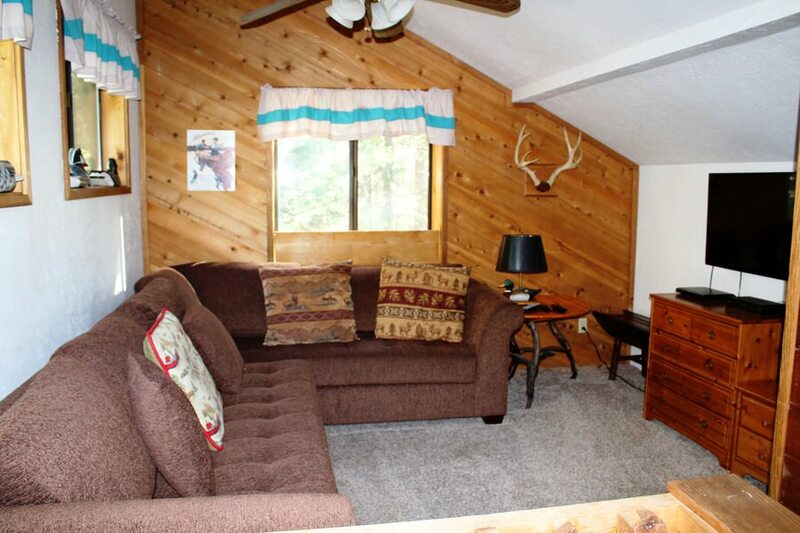 There is also a comfortable loft with tree views, a sofa and another TV. 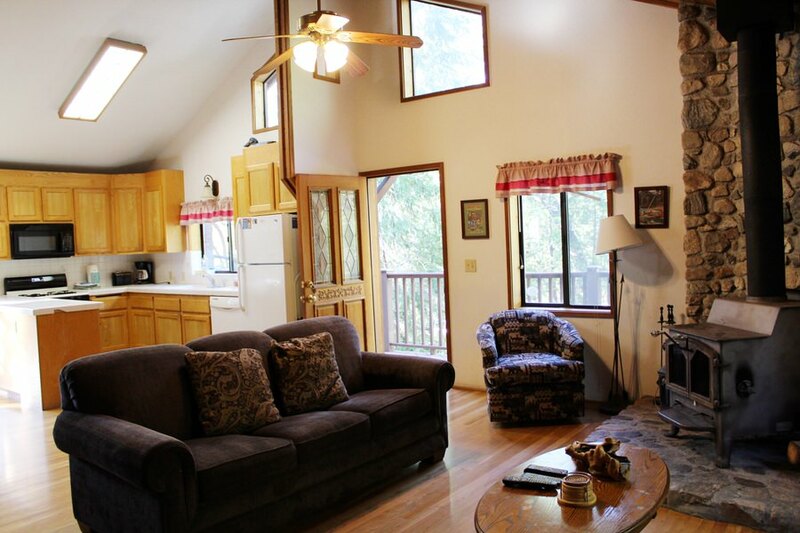 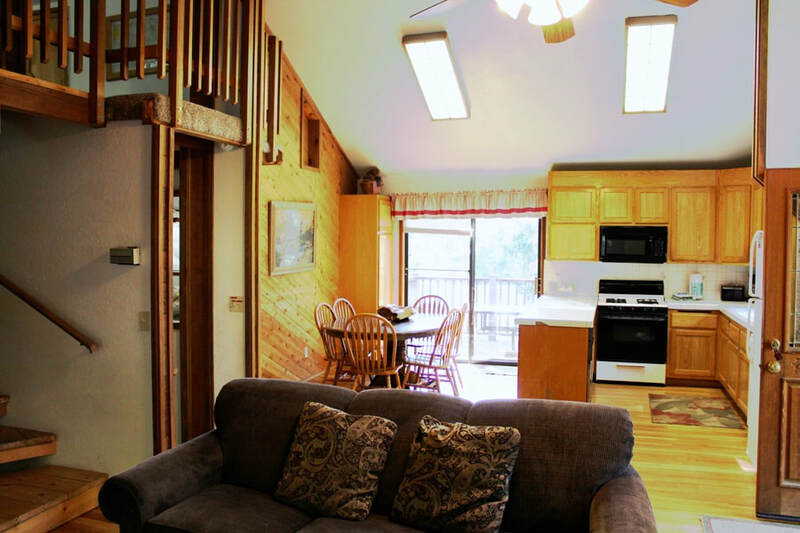 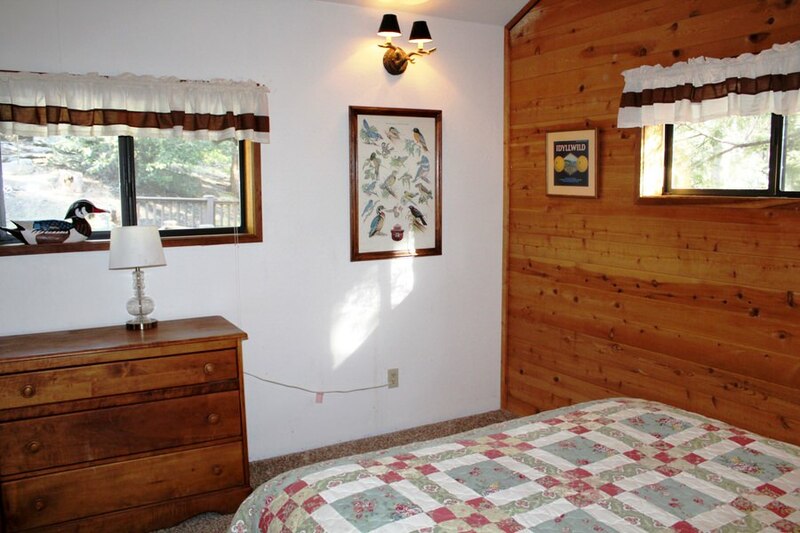 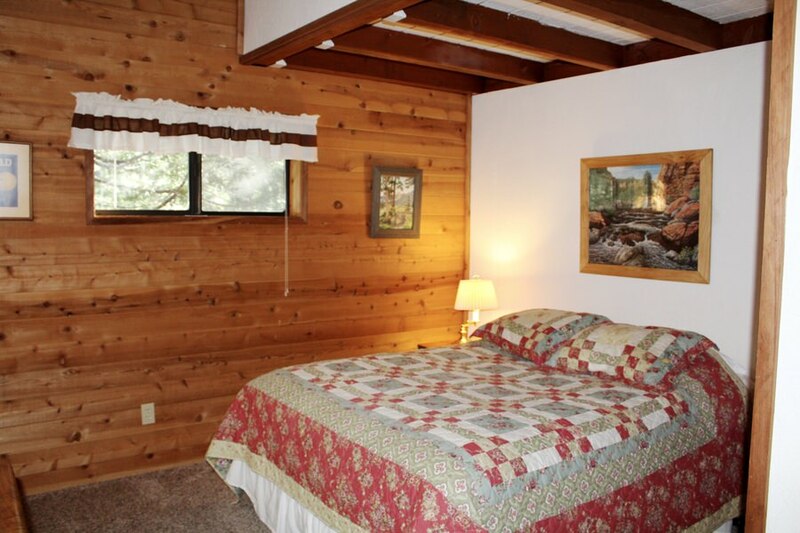 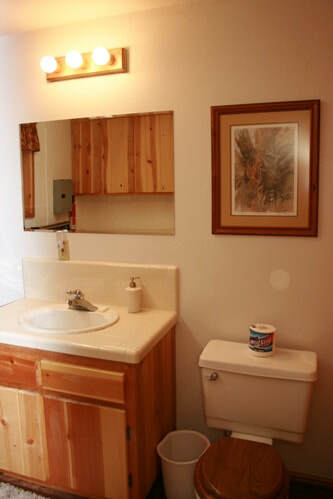 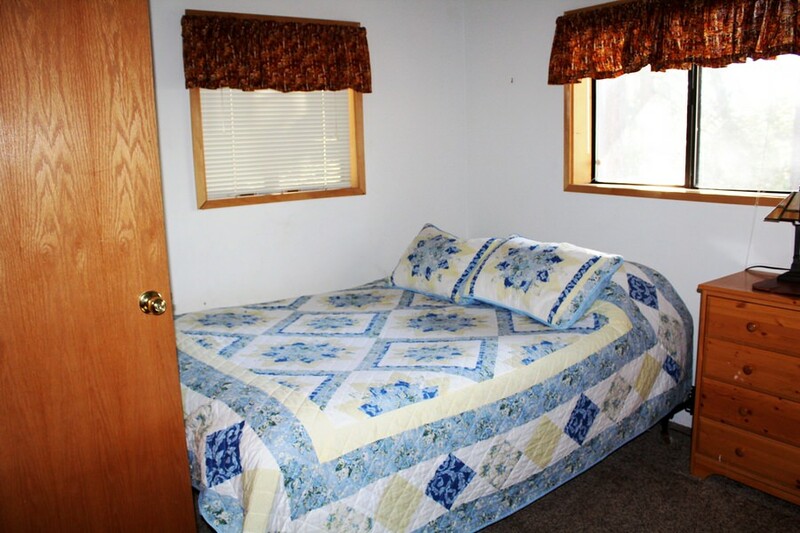 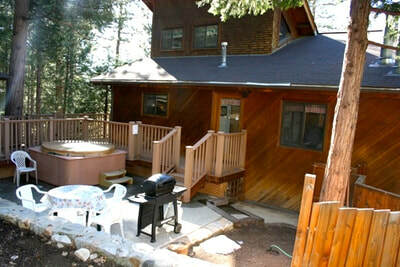 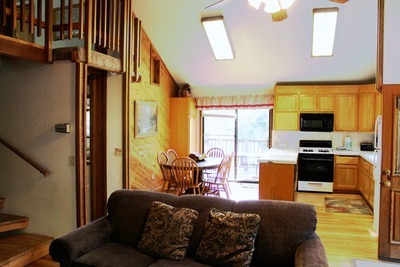 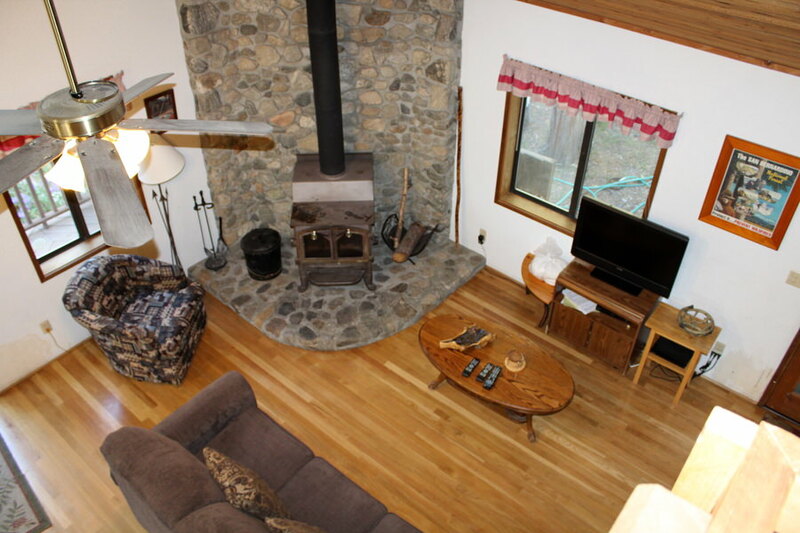 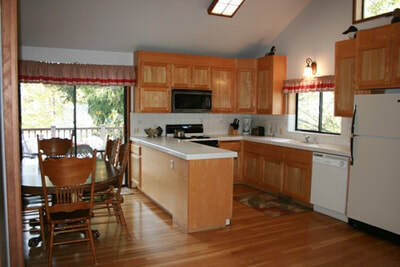 The cabin is located a mile from town and is walking distance to hiking trails. 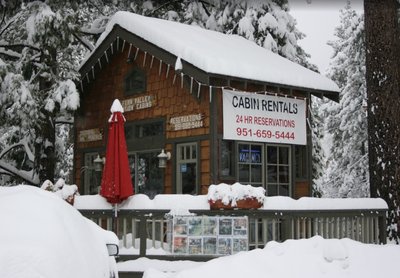 There may be a need for chains during snow but driveways and walkways will be cleared for your convenience. 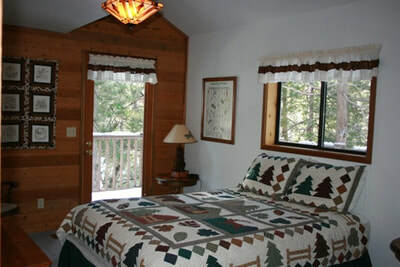 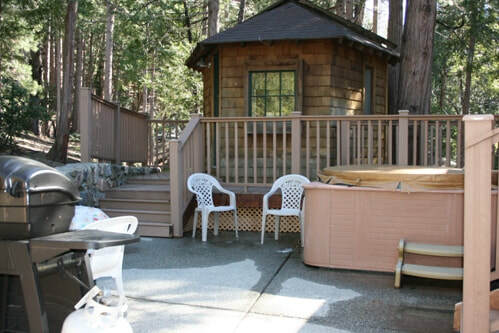 The 7 Arrows cabin always gets a thumbs up reviews from our guests, so come visit Idyllwild and enjoy a premium vacation rental at a great value.